Mix flour, diced butter, powdered sugar, egg yolks, milk and salt together using your hand or a food processor until you get an homogeneous pasty. 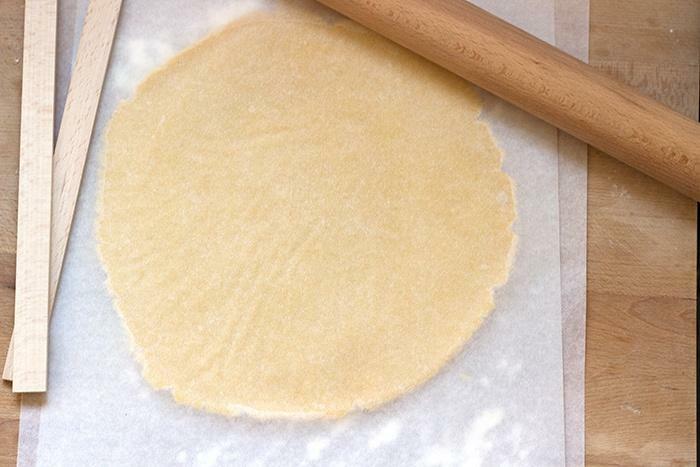 Roll out the dough between 2 sheets of greasproof papers. Put in pie plate and prick with a fork. 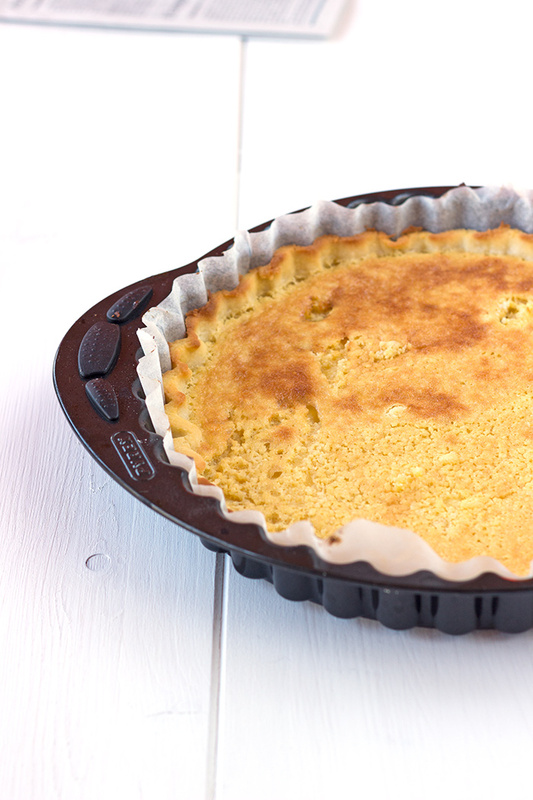 Mix almond powder, soft butter, sugar and egg. Pour on top of pastry. Bake for 10 to 12 minutes. Leave to cool. Heat blueberriy jam in a little saucepan to obtain a kind of coulis. Stir in gently warm blackcurrant jam and fresh blueberries in a large mixing bowl. Pour on top of baked tart and serve.